Crews onboard TNDV’s new Exclamation can monitor up to 24 multiviewer outputs in production control. The move is a bit of a departure for TNDV Owner and President Nic Dugger, who successfully built his company on the strategy of offering smaller, 40-foot trucks that are less costly to rent and allow smaller clients, like colleges and B-level sporting events, to produce broadcast-level telecasts. Its largest truck to date, Exclamation hit the road in late May and becomes TNDV’s eighth mobile production truck and its first to offer clients native quad-link 1080p broadcast and production capability across its 4K production capable infrastructure and workflow. 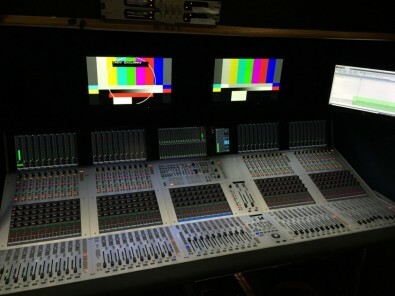 Exclamation’s design accommodates both HD and 4K projects, featuring a Grass Valley Kayenne 4K-ready switcher, Aja KiPro recorders, and a Studer Vista X mixing console. 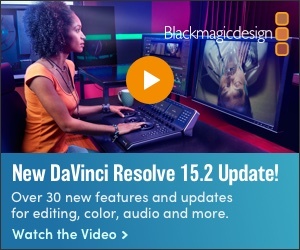 The Kayenne video production switcher provides up to 192 inputs and 96 outputs of native 1080p support, with the ability to support 4K productions upon request. Exclamation includes a new Studer Vista X mixing console for multichannel audio projects. The new truck has already provided support for one of the largest annual corporate events in the country and by the end of June, it will have serviced a Baptist convention in St. Louis, a two-week live music event at the Music City Center in Nashville, and a special broadcast event at the Dolby Theater in Los Angeles. Exclamation is the first to offer full 1080p broadcast and production support with 24 fps (frames per second) capability. 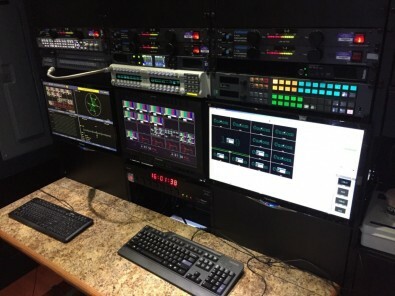 It is also the first TNDV truck to integrate a Grass Valley Kayane video production switcher, which Dugger and his team identified as critical to servicing clients with higher end production needs. The truck’s infrastructure can support up to 20 cameras, and clients electing to use 4K cameras can plug into Exclamation’s 4K backbone with their camera of choice. Typically, the truck will travel with Hitachi SK-HD1300 (1080p) cameras, with fiber transceivers on back, for use on all live and recorded HD shoots. Also integrated into Exclamation’s equipment arsenal are Cobalt Digital signal conversion and distribution gear, a TSL Audio analog/digital/MADI audio monitoring and tally light control system, and Flanders-Scientific and Boland Communications video monitoring. 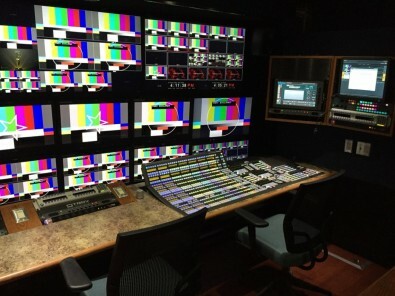 TNDV also chose an RTS ADAM intercom matrix system and a 512x512 Platinum video routing switcher from Imagine Communications, which will support the truck’s infrastructure with four Imagine Communications HView modules and 12 additional QuadSplit cards, for a total of 24 multiviewer outputs. Exclamation also includes a separate Pesa audio router that supports 128x128 analog I/O and 128x128 digital I/O, and up to four MADI streams. The separate audio router was integrated into the original design to specifically support the Studer Vista X, which can control 800 or more DSP channels and over 5,000 inputs and outputs. As for the truck’s name, Duger said that the monitor wall in the truck’s production space “wows clients” when they first board the truck. “Hence, the name Exclamation,” he said.